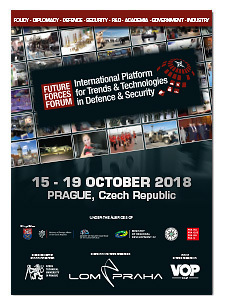 FUTURE FORCES FORUM as a platform for defence and security professionals links users of the state-of-the-art technologies in military/civil security operations to industrialists and researchers from all over the world. 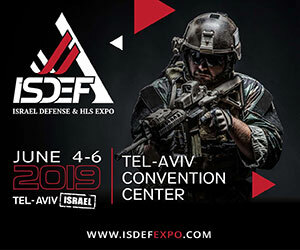 All events are primarily focused on presentations of current and future needs in order to ensure security, and on presentations of industry and R&D capabilities to provide governments and international organisations with required solutions and technologies. The expert events and showcase of the state-of-the-art technologies regularly attracts wide range of participants from all over the world. View the official delegates list. Along with the FORUM, the Future Forces Exhibition will showcase the latest technologies of the sector. Find out more about the exhibiting options and partnership opportunities. 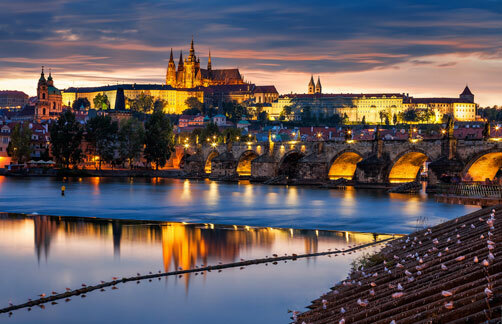 Enjoy your stay in PRAGUE, the historical pearl of Europe listed in the UNESCO World Cultural and Natural Heritage. Please do not hesitate to contact us in case you need any further information or assistance regarding your participation in any part of the FORUM. For more than 30 years MS&T (Military Simulation & Training) Magazine has been the leading simulation and training publication for the defence industry and remains the only publication entirely dedicated to simulation and training in the military. Each issue typically carries at least five major articles, an industry news and analysis wrap-up, coverage of recent events, an industry calendar and more, including the coveted MS&T Industry Awards. Published 6 times per year by the Halldale Group, the world’s only S&T Company operating exclusively in the B2B Media space, our Subject Mater Experts are former military and civilian training professionals who have walked the walk and have practical experience of implementing and using S&T in their earlier careers. Live, virtual and constructive (LVC) simulations, gaming and immersive, VR training systems amongst the many other topics covered offer an excellent way of converting lessons learned to practical knowledge and our writers use their experience to craft articles identifying and reporting on the latest training developments, technologies and exercises that maintain cutting edge capabilities. MS&T and Halldale group are committed to the development of simulation and training as a force multiplier for our highly capable war fighters and across other safety critical industries. Subscribe to our weekly newsletter and keep up to date with the latest news in the defence training, email: stephen.reed@halldale.com. We respect the privacy policies of the applicable laws and the EU General Data Protection Regulation (GDPR). 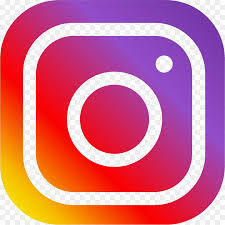 The personal data you enter will be processed, stored and protected by Progres Partners Advertising s.r.o. (PPA) under this policy, and will be used exclusively for email communication on the FUTURE FORCES FORUM project. To unsubscribe click here. will be processed, stored and protected by Progres Partners Advertising s.r.o. (PPA) under this policy, and will be used exclusively for email communication on the FUTURE FORCES FORUM project. To unsubscribe click here.